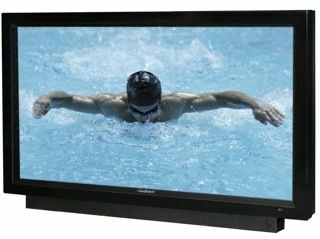 At InfoComm 2012, SunBrite TV will be unveiling its new line of digital signage products— true outdoor all-weather displays that can perform in direct sunlight. Dubbed the Marquee Series, this new line of 47-inch and 55-inch digital signage models features weather-proof design with super bright LCD displays that will not go black in direct, intense sunlight. All models feature 700 nit full-1080p HD LCD panels and employ SunBrite TV’s high temperature Extended Solar Tolerance (EST) technology that prevents isotropic black out.